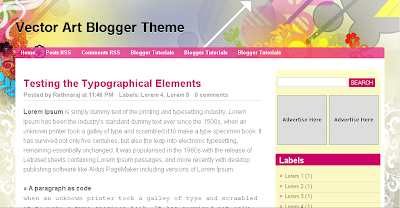 Vector Art is another great Blogger Theme that I created. It is a useful template for your personal blog. This Vector Art blogger theme is best viewed using Mozilla Firefox and Google Chrome. 3. Editing the Adsense link unit ads. Find for this code and paste you Adsense code there. But, before pasting it you have to convert the code into XHTML format using the Blogger Ad Code Converter.